Optimization of space. Ideal system for refrigerated or deepfreeze rooms. Elimination of individual access aisles. 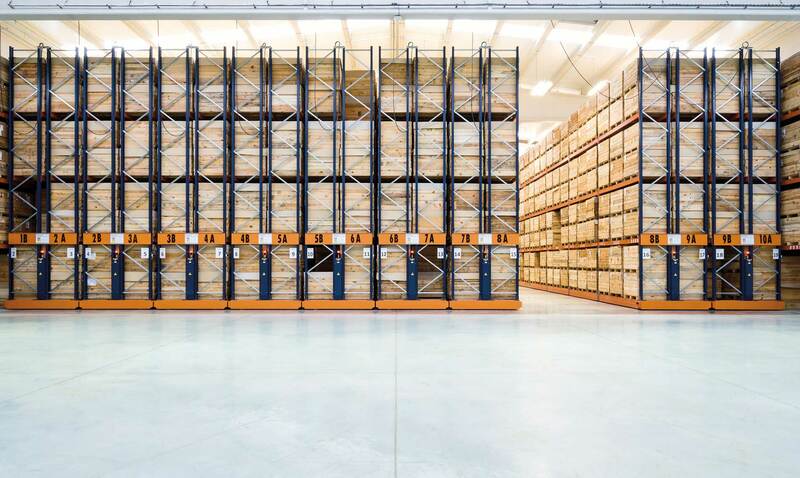 This system on mobile bases enables access to several shelves from one single working aisle. With the Movirack system, shelving units become more compact and their storage capacity considerably increased. All this without giving up direct access to any item in stock. The shelving units are installed over guided mobile bases that slide laterally, thus eliminating the need for aisles, which open up only when accessed. The operator gives the order to automatically open the unit, either by remote control or manually by flicking a switch. The mobile bases have motors, sliders and several safety systems to guarantee a safe and efficient operation. Optimal system for cold stores (both refrigeration and freezer types). Elimination of individual access aisles.